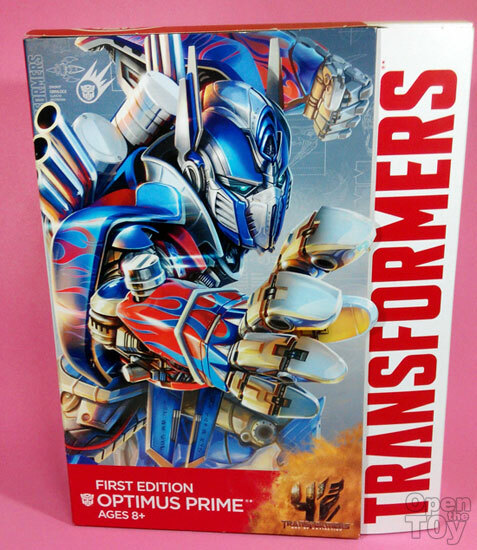 First thing first, when the Transformers 4 Age of Extinction news was roll out, the first release figure is the First Edition Optimus Prime. 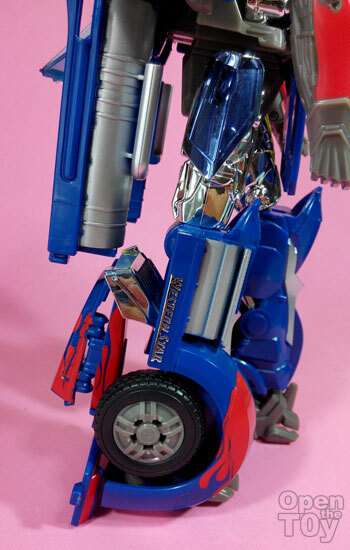 If you are experience Transformers toy collector, you would be experience enough to know that the First Edition is normally a preview follow up by the same Optimus Prime that may varies in design and looks. Do note that as I did these review, the wave 1 of Transformers Age of Extinction toys were release in retail weeks ago. So this is more like a back log from me. 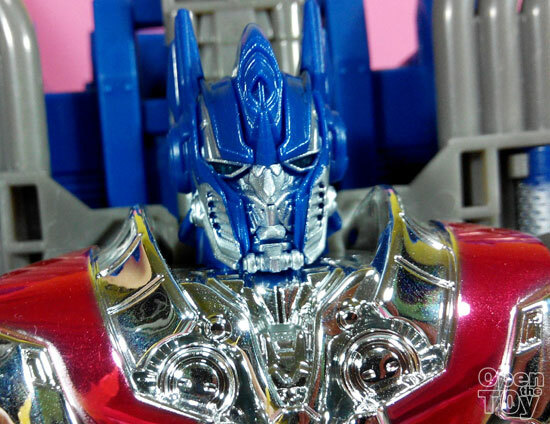 Hasbro has chosen to release a Leader class chrome part looking Optimus Prime. It was an obvious choice. The packing was big and impressive. 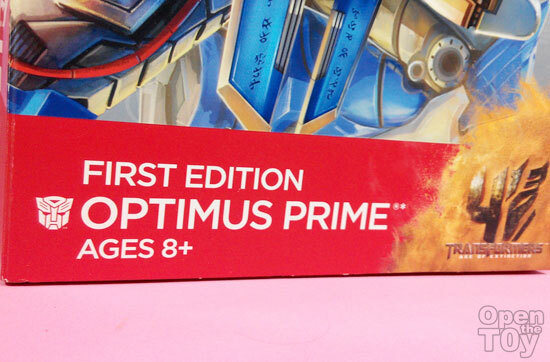 Personally I love the artwork and the Red Transformers wording on the right side. 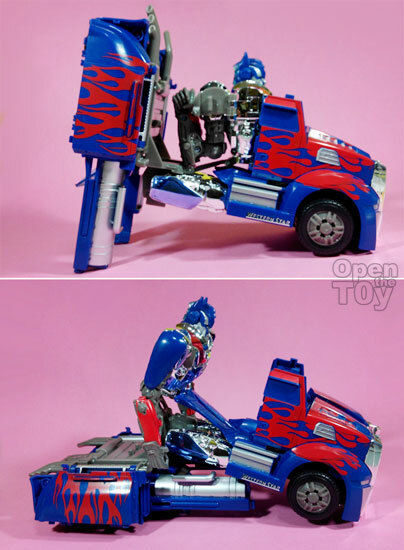 The back show the best toy pose of this Optimus Prime. Enough of the box art, time to Open the Toy!!! 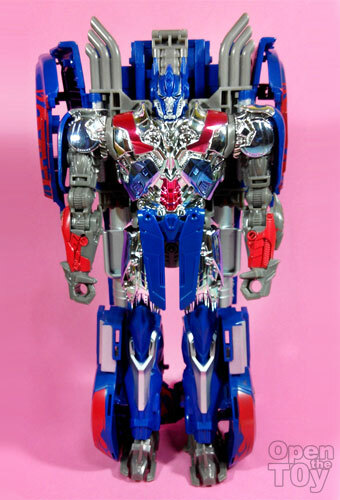 Compare to the previous Optimus Prime, this is a tallest in height but the most "Squared" design as even in the robot form you will see he is more like a block. You cannot really make out the body of the robot as the back is like a shell. Since he had a Shield it is logical to give him an Axe which he suppose to have but no, for the movie he was given a big sword. More like a claymore to me. 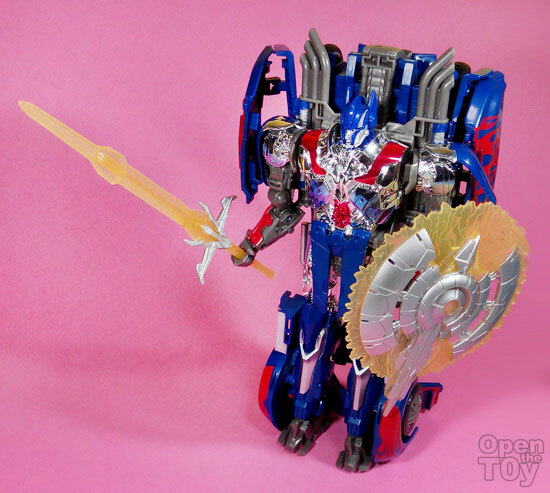 No matter both weapons fit this Optimus Prime nicely. There isn't any guns and blade no longer hidden in his arms. 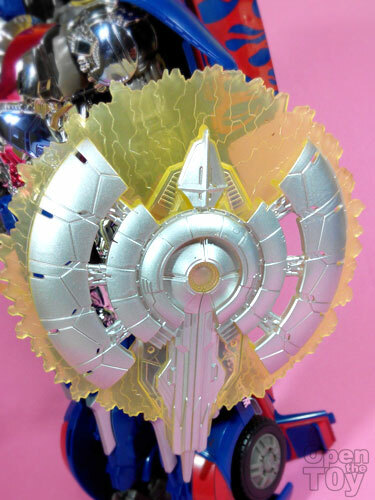 From the toy, it only suggest to me that Optimus Prime can use the shield to parry off shots by Decepticon and move close to slides them with the sword. 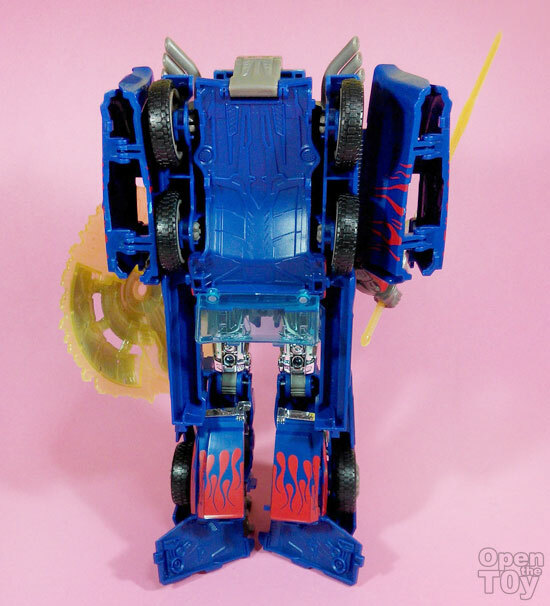 At the back view, you totally cannot see Optimus Prime in robot form. 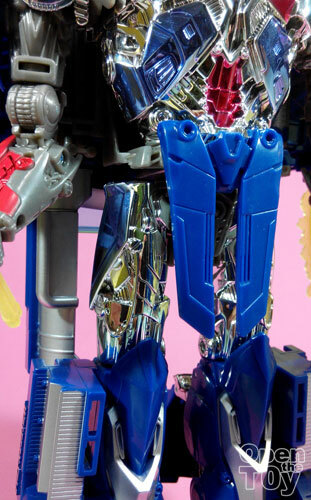 The Pros is that the robot parts of Optimus Prime was finished with chrome paint making it shinning and giving a Diecast effect. 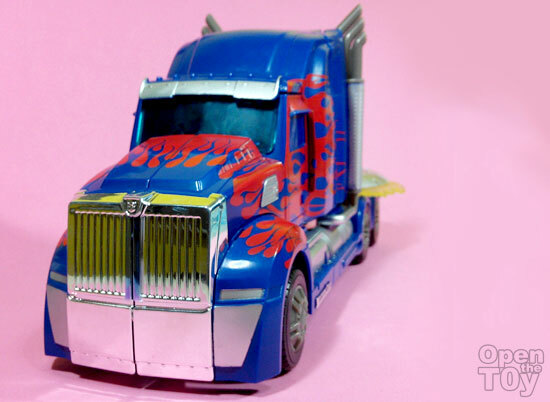 The face of Optimus Prime was good but the paint part was not quite accurate from the new movie poster. 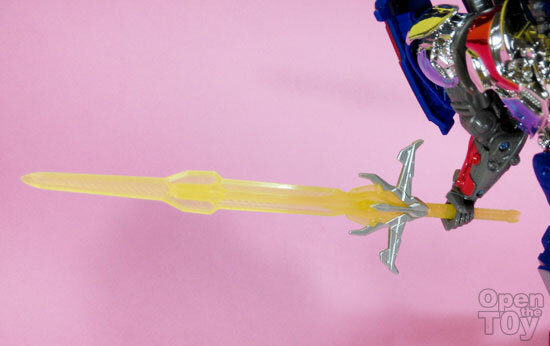 Nonetheless, the articulation of this toy is very limited as some parts like the leg cannot bend backward due to some parts at the back obstructing the movements. 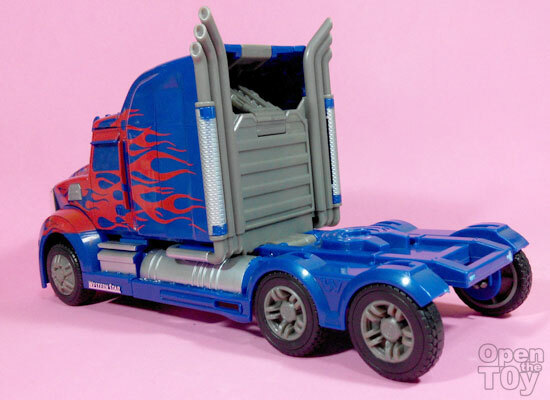 Now let's talk about the transformation to the vehicle mode. The instruction is simple to follow but to make it really fit well take some time to be familiar with. 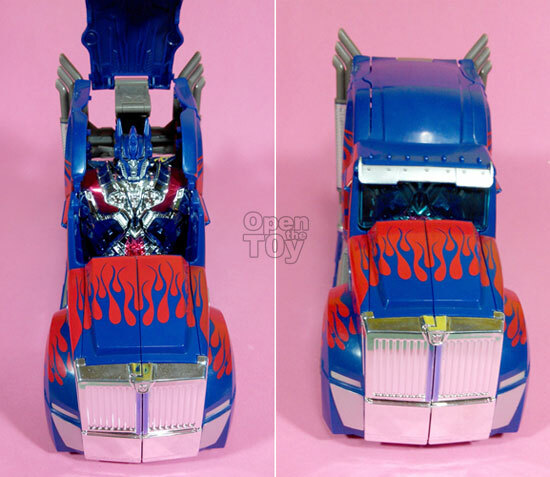 The good thing which my kid pointed out was Optimus Prime now sit inside the vehicle mode. A clever design which I think it was good. I have no complaint for the design of Vehicle mode as it turn out what he suppose to be. 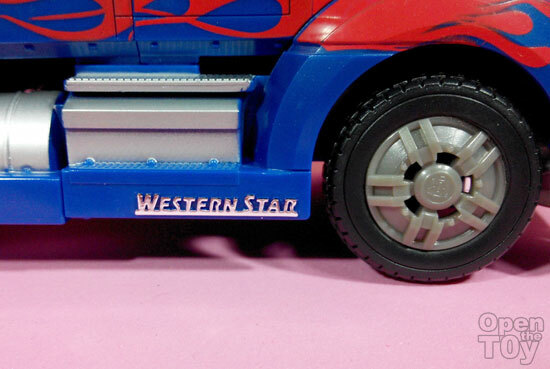 I love the details on the chrome spray wording of "Western Star" but why can't they bother to spray the wheels to be chrome too? At the back view, you can see there is a big opening at the top as that was the joint parts but still the back look acceptable. The wheels roll smoothly as the tires were cover with rubber. 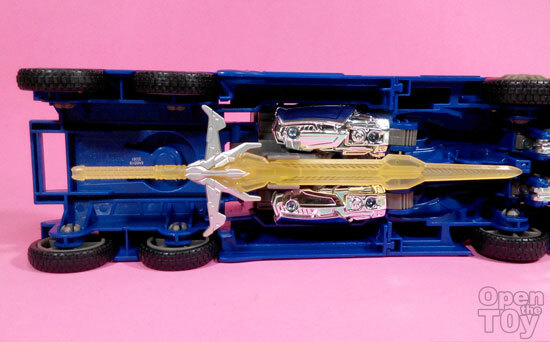 The bottom of the vehicle allow you to store the long claymore sword. And the back of the truck, allow you to put the big shield. It doesn't go well with the vehicle tho. The front was painted with mirror like chrome which look good for now. 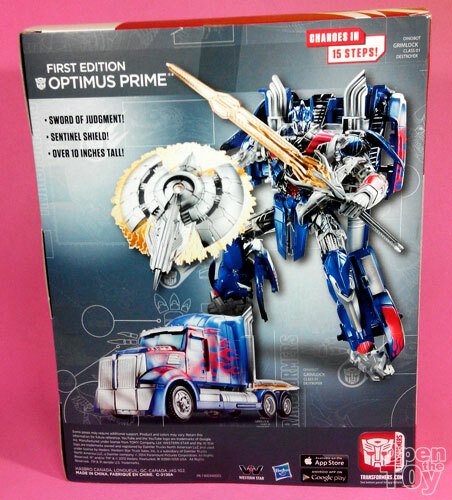 Regardless of the height of this version of Optimus Prme, the weight was very light. It is good for kids and I have no complaint. What I think could be better was the robot mode to be more flexible and look less blocky. 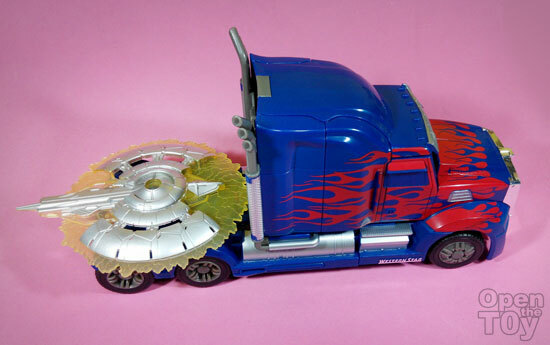 Fortunately, the other edition Optimus Prime was a more improvement. 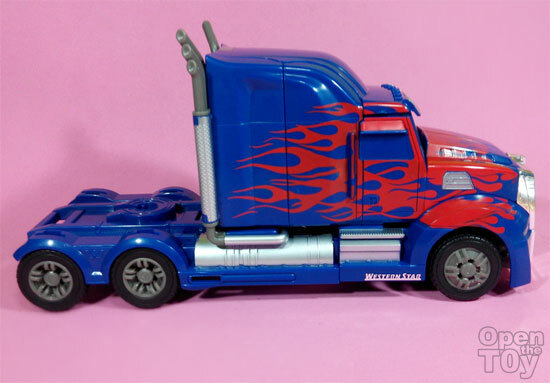 As of this Optimus Prime, it is great for kids to play and I love the vehicle mode.